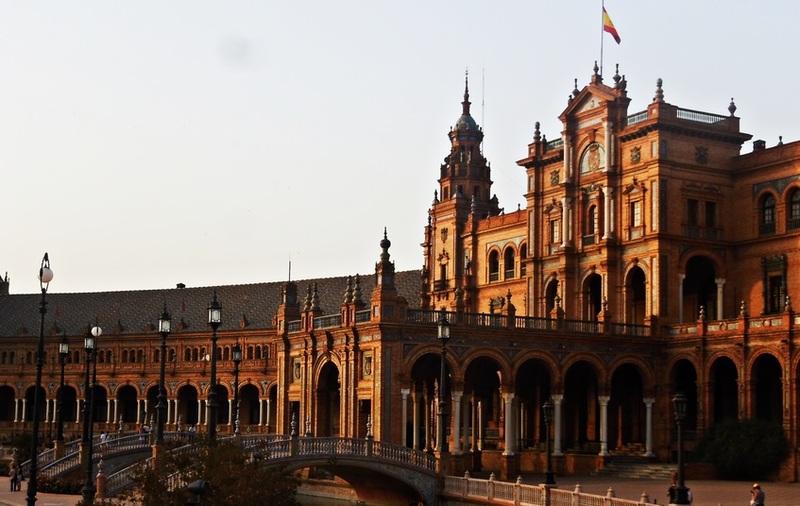 What are the essential sights In Seville that you must see? Famed throughout Spain for its culture and architecture, Seville should be a part of any travel enthusiast’s itinerary when spending significant time in this sun-kissed nation. It all too often gets passed over by those choosing to devote more of their time to cities like Barcelona or Madrid, or to beach hotspots like Malaga or San Sebastian. Even if you can only spare a few days at the most, swinging by this historical city will yield huge rewards. While you should look the following sights for further information after reading this article, don’t feel like you have to squeeze in your research time on the shaky wi-fi found in cafes or guesthouses. The Internet in Spain for tourists can be a positive experience by using a portable wi-fi device, allowing the traveler to conduct business, research, or just fool around playing games whether you are stuck in an accommodation with crappy wi-fi or on the move while aboard the many trains that speed their way across this country. With this quick tip out of the way, let’s get into the meat of the details of the essential sights in Seville. While it has been historically considered the third largest church in the world, modern measurements of its massive interior have crowned it as the world’s largest cathedrals. Occupying the insides of a former Moorish mosque, this place of worship is also widely known as the final resting place of famed world explorer Christopher Columbus, but the glitzy roofs of the interior will impress those that bore at the thought of history. Being one of the more spectacular royal palaces in Spain, Real Alcazar simply cannot be missed by fans of extravagance. Lush gardens, more rooms than you can possibly count, and signs of financial abundance will be ever present during your times on its grounds. Christopher Columbus planned his voyages to the West Indies here, and in the room in which he did it, his coat of arms can also be viewed by those fascinated with his life. Built for a world’s fair in 1929 meant to improve relations of former Spanish colonies with their former mother country, the Plaza de Espana is quite possibly one of the world’s most beautiful public places. Complete with over a half mile of ponds, fountains, canals, and buildings constructed in the Renaissance Revival style, this square is the architectural highlight in a city filled with architectural highlights. Top 5 Reasons to Visit Andalucia! Posted in Spain and tagged with Architecture, churches, culture, Europe, history, palaces, Spain, squares. RSS 2.0 feed. « International Car Rental Tips That Will Save You Money and a Whole Lot of Stress!